We’re at the end of 2018. It’s August that means we have just about 33% or a little over 33% of the year left. 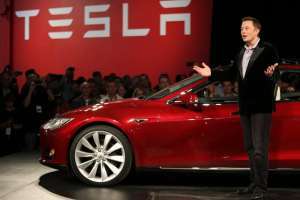 There are some important milestones you should know when it comes to buying a Tesla that is coming up this year. All Tesla cars are qualifying for the entire rebate of $7,500 and once they delivered that 200,000th car which officially happened in Q3 of 2018, the phase-out has begun. First, let’s talk about the federal tax credit. Tesla has confirmed and they have officially now passed the 200,000th car sold. It means is that from now on, the tax credit of $7,500 which is a federal credit in the U.S will begin its phase-out. Now unless you make $50,000 to $60,000 in a year or more, you might not qualify for the full amount. After 2018 ends, the tax credit will be reduced to 50% of that $7,500 amount which is $3,750. Anyone that takes delivery of a new Tesla in the first half of 2019 will qualify for that rebate of $3,750. You need to have that much of a tax liability which you probably will if you’re buying a $50,000 car. The next part of the phase-out is the second half of 2019 where it drops again to 50% from what it was previously and that will become $1,875. Now this lasts all the way through the second half of 2019 so again, anyone that takes delivery of a vehicle during that period will qualify for this tax credit. The Tax credit is officially gone in beginning 2020, January unless there are some changes to the laws and there are a lot of different lobbying groups and people are interested in making this extended or even increased but as of now, that’s the situation. If you want to take full advantage of the federal tax credit, you need to take delivery of your Tesla this year. Now there are some things that you might consider during buying Tesla Model 3, the $35,000 Tesla Model 3 most likely will not be delivered or even sold in 2018. So, you are going to miss federal tax credit of $7,500 and also, you’ll be paying more per mile of range than you would if you bought the long range which is the cheapest option currently you can buy in the market. Now let’s talk about practicality, today if you buy the long-range version of Tesla Model 3 which costs you $49,000, you could get the federal tax credit of $7,500. The price of the Tesla Model 3 become $41,500 after deducting the $7,500 and you’re in California or some of the other states you get even an additional discount. In California, you get a $2,500 rebate so that drops the Tesla Model 3 price down to $39,000. This isn’t a case with standard $35,000 Tesla Model 3. As of now, the standard Tesla Model 3 not available to buy so you won’t get $7,500 credit with standard Tesla Model 3 if Tesla won’t launch that model this year. When you look at it that way, it may be a better choice to go with the long-range model 3 than wait for the standard one, even though you’re paying more for it. The second thing to consider is free supercharging, on September 16th of 2018, the program where you can get free, unlimited supercharging for your model S, X or Performance version Tesla Model 3, is officially ending. After September 16th, any people that buy an S, X or performance model 3 will be able to get one year of free supercharging only after that, you’ll have to pay for it. Now that’s not necessarily a huge deal unless you go on a lot of road trips. One thing you can do it, you may want to look at a certified pre-owned vehicle by going to Tesla.com/Used and also check out our comparison of pre-owned Tesla Model S vs New Tesla Model 3. You can get the pre-owned Tesla Model S as low as $40,000 and they all come with free supercharging which is really great. When you buy a certified pre-owned, you’ll be getting an extended warranty from that so it really does feel like a brand-new car.